Work for VIPRE for Business? Learning about VIPRE for Business? We've had a couple of incidents where an infected file was executed and unfortunately it was a threat that was too new to have been caught by any of our protections. After immediately quarantining the affected computers, we reached out to VIPRE support, and requested assistance. They had our backs to the very end of this. They logged into the infected computers, and ran through an analysis/investigation cleaning any infections. FULL-SERVICE support like this is hard to find, and it's standard for the VIPRE Business Premium product we're utilizing these days. We weren't too happy with the fact that the infection got past out antivirus software. The policies management interface could stand to use some more work, especially when updating multiple policies at once. Technical support seems to be a bit limited, and call wait times have been around 15-20 minutes. Look at how many licenses you think you need, and if you are going to support mobile devices as well. Each mobile device takes a separate license. The same licenses apply to both PC as well as mobile device. Our business needs a product that is easily managed from a central console. Many of these type of products offer this, however, for the most part VIPRE's management console is quite easy to use. "Vipre Business Premium has taken a lot of stress and monotony out of my job." I really like the patching features as stated above it takes a lot of stress off and monotony out of my job. I can leave all the PCs locked down and I can just approve patches for Acrobat, Flash and other PC add-ons then schedule updates. The remote agent is a cool feature as well. My road warriors PCs can check in for updates and approved patches. The Vipre client updates don't always install properly ... I had to manually update only 1 of users client packages, but it works much better than the AVG's. All things considered that isn't bad out of 50+ users and servers. I would definitely recommend the Business Premium or Advanced editions with the Third Party patch management. It saves me a lot of time ... not having to run around to each machine or writing scripts to install patches. Road warriors not getting definition updates, client updates and add-on patches has been a problem with previous solutions. AVG Business and Symantec products over the last 10 - 15 years that I have used in recent years all failed in this area. Vipre Business premium has resolved all those issues for me. What I like most about that VIPRE for Business is that it constantly shows alerts as soon as any malicious virus tries to spread in the system. Whenever we have needed any help, technical support has responded efficiently and they have always been very attentive. For business environments VIPRE is a good option to keep any virus out of your systems and keep any important information safe. VIPRE for Business has done a great job always warning about any threat and constantly protecting the system. "Great layer of protection for Virus/Malware"
I like the email alerts. It constantly alerts admins of any issues. It blocks a lot of urls inside emails from executing. I have it setup to automatically install via GPO in my AD. Almost instantly setup Virus protection from just joining the domain and login to the user account. So many alerts are false positive. However it's better to receive the false alerts than to miss them entirely. The emails give the full report of what vipre did with the threat. You need multi-layers of protection and this is a great product to pick as one of those layers! You can have multiple policies for different groups of people/servers/desktops/laptops/roaming users. We use Vipre for Virus Protection. It also does Advanced Browser Protection. This blocks malicious urls.. Email protection. One of the simplest, light weight solutions on the market especially for a server managed solution. Has a great protection rate and is easy to deploy. Their support team is easy to work with and always helpful. Technical support is great and will log in and fix any issue you have remotely. They just recently added a cloud solution and which works great but I can only purchase and sell this for 1 year at a time currently. I also hope to have a master management console to manage multiple clients from. It can be difficult to get a sales rep on the phone. Depending on how busy they are the tech support can also take a while to get back to you. Use a resller. The sales team can be difficult to get in touch with at times and you will get better pricing. Reduces the amount of resources utilized on my server which speeds that up and helps protect my office from threats so I'm not spending time cleaning peoples computers from infections. "Great product with only one downside"
The user interface on the server and on the workstations are easy to use and intuitive. The enpoint agent doesn't slow the computer or user down while running scans. We haven't had an infection like ransomware since implementation unlike our previous endpoint solution. When blacklisting infections on the server it doesn't always remember to remove the infection without having to remind it. The background data usage to update bitdefender can sometimes cause a slight slowdown in accessing the internet. It is a good product but like anything it isn't perfect. It does however provide an impenetrable barrier of protection to our network. The software is very easy to use and make changes when I needed to. I really have not found anything I did not like ! ! "Vipre has been great for the last 3 years." Usability is probably my favorite thing about Vipre. The product is extremely intuitive and I could ask anyone in our department(IT) to make a change or a add a PC to the console and they can figure it out. I just wish there was more granularity in the policies. I would advise anyone that isn't happy their AV to give Vipre a look. Vipre seems to be doing a great job staying on top of w threats as well as alerting us when things come up. "A simple management console and setup"
- The implementation of software can be done within 30 minute (or less) and AV is ready to go on client. - Configuration copy button is useful. - Report sometime not accurate. - Quarantine item cannot be remove manually. - Roaming agent upgrade is improve, but still not consistence (not sure because the issue with internet or our client agent). Look for alternate solution of endpoint protection other than the enterprise complex software. This is what you look for. 1. USB immediately scan and alert are very effective and we alert to the infect PC as soon as user connect the removable drive. 2. Roaming agent keep us update on client status outside the office. Although there is still room for improvement of upgrade process. For the standalone version of Vipre for Business it has issues installing properly with the agents to the desktops. I've had to take additional hours of tech support to make it work. Go for the Vipre Cloud End Point protection. Solving total security in one solution, firewall, virus and malware protection and email protection. "Vipre is a great antivirus and it is very user friendly." What I like about Vipre AV is that it is user friendly. Very straight forward console. The learning curve on this software is almost non-existing. That is just the tip of the iceberg. The antivirus module is great at stopping and neutralizing viruses. We have not had anymore incidents involving viruses including cryptolockers and ransomware. I am very pleased with its performance. There are only two issues with this software that I would like to see improved upon. Third party software patching. And the other is its inability to detect certain malware/addware. I understand that no software can do it all but it is on my wish list. Vipre will meet your antivirus protections needs. Use Vipre Endpoint Security. "Dependable antivirus with sysadmin-centric management UI"
VIPRE client installations are very easy to deploy using its' management console. Done by IP range or a deployable MSI which auto-joins to the chosen policy, this made deployment of VIPRE headache free. Some more detailed documentation, taking the novice on a learning path all the way to advanced, would be nice; but what's available is fine. Assess your security policy organisation. Create policies based on requirements rather than business units. Cost savings over our previous antivirus software and centralised management of security policies. Vipre's agent scans like none other, and it's ability to exclude our complex CAD application files is a real boon. The console's integration of advanced features, such as Device Control are awkward for both end-users and administrators to use. Simplicity of end-point administration and verification of coverage and definition updates. We have to provide a muti-layer approach to defending and protecting our customers' Intellectual Property. We can control access to all workstation I/O, plus ensure that our systems are virus-free. "easy to manage the endpoints"
It is convenient to use and easy to install for remote user, also we can manage the PCs in time. It will send us email quickly when some PC has the intended attack so that we can do the protection. I personally like the software, so far so good. VIPRE is a good software to use, it is easy to manage the remote endpoints for our company, and If some detection was found in the endpoint , it will send email to us so that we can protect the endpoint in time. Be honest I don't know the price of this software. "Great Software and support! " Extremely easy deployment! I think it took about 15 minutes from start to finish and it was deployed across the environment! Major upgrades require reboots. It's not always easy to convince users to reboot shortly after being prompted. Just go for it. You wont' be disappointed! Some patch management. I love that you can deploy Java, Flash and various other software patches with it. It's fantastic! Would like to see Vipre support more applications. .
"It was very good sales rep was awesome support seems to be good have not used it much." I really like the app update how the AV updates adobe, java etc. I have not learned everything as of yet but so far so good. Need better training courses I am not aware of any it would be great if there was a sys admin webex course we could take to learn more about the product. Anti virus so all devices is nice we do have 10 apple devices that cant get virpe so itd be nice if there was a IOS version but I'd rather see the Apple computer gone. Updating apps so a really great feature. Also android app for management would be cool. Nothing, they work great. Best Antivirus I have ever used. go with them for sure, best antivirus I've ever tried. I've used avg, trend micro and symantec. VIPRE is the best by far. They also offer a cloud hosted version. It was an easy program to use and the interface was visually appealing. Vipre seemed to do a good job of protecting computers as well. While the interface looked nice, it was not very user friendly and what you could actually do within Vipre was very limited. I did not like not being able to influence my scheduled scans at all unless we did something on a server level. We bought into the endpoint system for a while but I was not impressed with it. While the pitch sounded great, actually using the endpoint system was a nightmare. I had to call customer service to get assistance and they were not very much help. If the program had come with some tutorial information or just a how to guide I could look at it would have been nice. The patch management in Endpoint Protection is great. I don't have to babysit 350 computers anymore, worrying about if Flash and Java are updated. The interface seems a bit clunky at times. Most of the issues have been fixed, but sometimes it just feels sluggish. AV Protection, Malware Protection, Malicious URL blocking, and patch management. Patch management has been the biggest benefit. Compared to the local hosted version, I can find nothing to dislike. Vipre is easy to deploy to small or large organizations via automatic agent installation through group policy. "Just renewed for another year"
I really like that Vipre allows me to create separate security policies for my clients and servers. I wish that I could import exclusions from a .txt file instead of manually inputting each one. Vipre is a great product for all of your security needs! Vipre allows my business to operate without fear of malicious activity! I like having a dashboard to look at all computers at all locations. I have Severe Warnings that I cannot fix. The support line wants me to send them the files. I don't know how to send them files. Or what files to send them. I thought I was solving the issue of viruses coming into our network and shutting us down. But, again, I am not capable of removing the viruses. "Vipre - does what says and is easy to manage"
Love the console, love the fact it's going cloud-based soon. So far, nothing. it does what it's supposed to do, and is a breeze to manage. Small footprint on any utility server, or you can go big and give it it's own server. Cloud based console will solve that soon hopefully. Easy to use, robust but simple interface. We were having all kinds of issues with FortiClient with our servers. Realtime scans were causing havoc with day-today operations on file servers. Vipre solved that issue in 15 minutes. "Easy to manage, quick deploy, low on resources; fairly good overall performance AV product." The central management portal is pretty easy to use. You can pretty much review, deploy and update from the same spot. It could be a bit pain if you have remote users with laptops, deployment could be better simplified. Employee downloading harmful files can be monitored and quarantined by Vipre. the management console makes it very easy to create profiles and deploy clients. the dashboard gives you a very easy to read overview and lets you know quickly where the problems are. I honestly have no issues with Vipre. 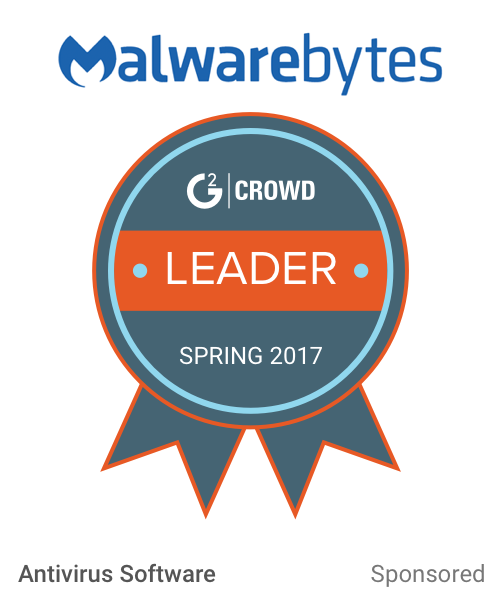 it has proven itself over the years for our org to be a very reliable, robust Antivirus program. the management console makes it very easy for IT staff to monitor and remediate. the reporting is top notch. Easy to use with an extensive dashboard to monitor and control all aspects of the system. There is nothing to dislike at all with VIPRE. Threat protection for users and servers. Protected against hundreds of threats on a daily basis. "Vipre has been an effective solution but rather basic"
I like the ease of deployment and the centralized management console. Lack of management from mobile devices. Lack of clarity between serious infections and minor ones. Firewall component is obnoxious and usually has to be disabled to continue using the PC. It seems to incessantly reports on normal network activity and no rational detection of abnormal activity. Inexpensive and easy to use and administer. Very useful in preventing external devices from being connected to systems where they shouldn’t be. Blocking harmful URLs in emails is helpful however reporting on every one clutters up my email box and I usually miss other emails notifying of other types of infections that I do want to see. "Good product with good support"
The product does very well protecting against viruses! The support is sometimes hard to understand. I also have some problems with the product slowing down computers. It blocks/quarantines threats before they ever become a problem! "Easy to manage, very low maintenance!" It practically runs itself. Very reliable and uses very little system resources. I would like to get more immediate feedback when a client installation is deployed. I highly recommend Vipre business. Very easy to manage and fairly low priced. Definitely worth the cost. Easy to install over the network and easy to monitor. Saves time while staying protected! "Vipre for Business is low-cost, well-performing anti-virus solution"
It has a friendly pricing model, making it easy to sell to my clients. The protection is thorough. It presents very few popups and does not monopolize CPU or RAM, so it very user-friendly. Some of the notification messages are ambiguous. It installs easily and provides a non-intrusive user experience. I like it. Anti-virus and anti-malware, controlled from a central admin console. "It's been protecting our business and those of several clients we've recommended it to for years"
It's seamless, manageable and barely impacts resources. The management console is clear and support is good when it's (rarely) needed. Not a lot - strange that minimum 40 characters is mandatory here! 30 Day free trial - speaks volumes - try it out! The software can be laggy at times. Sometimes the service needs to be restarted or needs to be rebooted for it to update. Emails that go out to technicians for school sites when virus are detected. "Unobtrusive, low-resource Enterprise Antivirus and Endpoint Security solution." It's very unobtrusive, and users won't even realize it exists on the computer unless they're looking for it. Except for a small icon in your task tray, there aren't any notifications or manual interactions that users have to worry about. The only thing I'd prefer to see, compared to other full internet-security solutions is better web integration for suspicious and malicious websites. We use a filter, like most corporations, but they can only do so much. It's just like most other corporate anti-virus, anti-malware solutions. We haven't needed support, so I can't speak to that, but perhaps that's part of the advantage. Maintaining workstation security and preventing network downtime due to malicious malware or computer virus-related problems. The multitude of functionality, and being able to push software updates. There is nothing that really stands out that I do not like. Good product that runs in the background that once it is rolled out needs little to no work. Active virus threats, and pushing software updates. One set up, there is minimal maintenance. I've had issues where definition updates were not being pushed out. Resolved with customer support assistance. Systems are fully protected without having to visit each station. I don't have to individually maintain each computer; it can be done remotely. It seems to protect computers on local network. Completely useless on remote computers because it does not install. Technical support marked ticket as resolved because they could not help. Make sure person(s) doing install/setup have experience with Vipre. Protect all our computers from virus and malware. Vipre offers a central management console which make network management easy. No major complaints. The ability to restore links that are removed from email needs improvement. VIPRE offers good end point protection with central management. "Very well set up and easy to use"
Low impact on the endpoints. You really don't know it is there. That it finds threats other antivirus applications doesn't. Calling technical support. I have called multiple times just for product information and they didn't listen to me or what I was asking for. Installation is simple. The email notifications have benefits. "Vipre Business has a great management console and the client is lightweight and effective." I appreciate being able to manage protection policies, client rollouts, updates and scans through one central interface. The client for Android needs work as it has a tendency to register it self over and over, within the management console. We needed a lightweight, effective client that could be managed from a centralized console. This allows us to be more cost effective in our management and allows for centralized alerting - should an infection be caught by Vipre. The installation is very easy and setup is easy also. The antivirus works very well. Sometimes the viper liscensing service stops working. Virus’s in machines and easy for clients to use. "Very nice to work with vipre. " The option to have different policies for different users. Nothing really. It's a great product and great support. Easy administration and easy use. Works great too. The overall ease of use of VIPRE is phenomenal, especially with newer IT support people that need to learn things quickly. For the few times I've needed support it's taken longer than what I would have liked. Occasional issues getting clients to connect or update. "We are a VAR who definetly recommends VIPRE business and sell it often to opur customers. " they have now introduced the Advanced Endpoint product. Better support from direct Sales or Tech support. Spam, Malware Attacks are now big. I never have to worry about it. It updates everything with zero interaction required. You never hear from it until it finds something nefarious. When there's an upgrade to the console, it takes a while to get it installed. Excellent protection. I don't need a Ph.D. in computer science to make it work. Support is exemplary. "We have been using Vipre for a few years now"
I like the console, good design on that. It does what it needs to do. there is nothing I really dislike about it. Would recommend to have a look at it. It does what it advertises. Support is good as well. End point virus protection & malware protection. Yes _ easy to use I would suggest buying it. Making sure everyone is on the latest update. * We monitor all VIPRE for Business reviews to prevent fraudulent reviews and keep review quality high. We do not post reviews by company employees or direct competitors. Validated reviews require the user to submit a screenshot of the product containing their user ID, in order to verify a user is an actual user of the product. Hi there! Are you looking to implement a solution like VIPRE for Business?